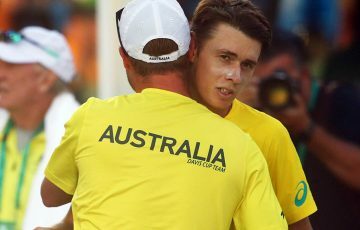 Australian Lleyton Hewitt says he will re-assess his approach to tennis after his performance in this year's four major tournaments. Lleyton Hewitt says he will re-assess his approach to tennis after his performance in this year’s four major tournaments. The former world No.1 has slid to 54th in the rankings after a hip injury lay-off and says it is hard to gauge how high he can climb back up the ladder. 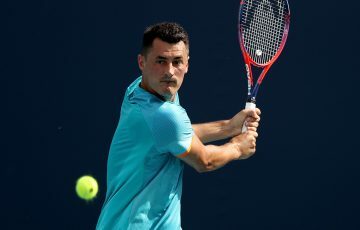 Tennis legends John McEnroe and Ivan Lendl said 29-year-old Hewitt had little chance of reclaiming a top 10 spot, but the Wimbledon and US Open champion said that was not his main aim. He will build his campaign around the grand slams but admits he is unsure where that will leave him – even if he remains healthy – at the end of the year. 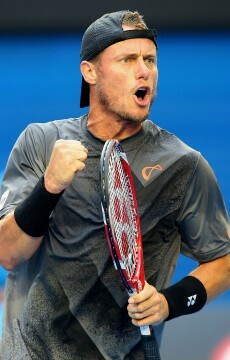 “It’s hard to say, I don’t play as many tournaments as most of the guys who are in the top 10 these days,” Hewitt said. “My preparation every year now at the age that I’m at is pretty much to prepare for the four majors, so a lot depends on how I go in the four tournaments. “That’s obviously where the big points are as well so for me ranking isn’t a priority. Hewitt will line-up in the eight-man Kooyong Classic starting on Wednesday – the first time he has begun his Australian Open campaign by not competing in an ATP tournament. It will be his first event at the historic Kooyong venue, but he is untroubled that the Classic and last week’s Hopman Cup exhibition wouldn’t give him the intense matches he needed ahead of Monday’s Open. “Not for me. I think every time I step on the court whether it’s practice or matches, I give 100 per cent,” Hewitt said. “I go out there and expect the best out of myself every time and one of the biggest reasons for playing the Hopman Cup and Kooyong this year in particular was I’m guaranteed six extremely tough matches against quality players which is important for me coming off a couple of injuries. The world’s top two players, Rafael Nadal and Roger Federer, prepared for the first major of the season by playing in Doha where Federer won the final against Nikolay Davydenko, who had knocked out a sick Nadal. Nadal and Federer were scheduled to train at Melbourne Park on Tuesday, but wet weather cut short Nadal’s session after about half an hour and it’s understood the Spaniard, who reportedly has a mild dose of the flu, declined to hit indoors. 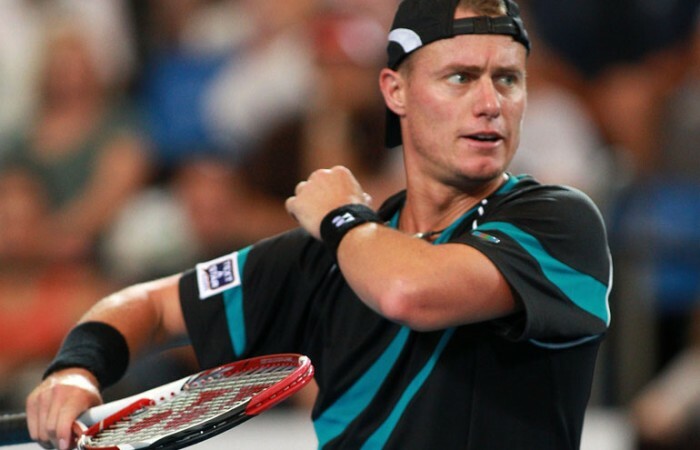 Hewitt will play his first match at Kooyong on Wednesday against Russian world No.10 Mikhail Youzhny. 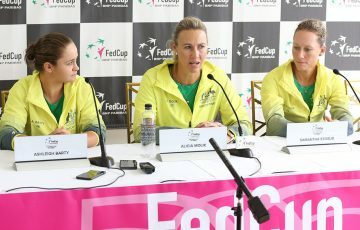 The Classic field contains six players ranked in the top 13 in the world. Hewitt and Youzhny will be joined by top-seeded Czech Tomas Berdych, defending champion Fernando Verdasco of Spain, Austrian Jurgen Melzer, Davydenko and French pair Gael Monfils and Jo Wilfried-Tsonga.